The Undiscovered: It's Wednesday! Get your treasury on! Welcome to our second special edition of the team treasury challenge. Challenges run 24 hrs every Wednesday. Since it is Khan Creations' second time winning the challenge we're rewarding her with something different. 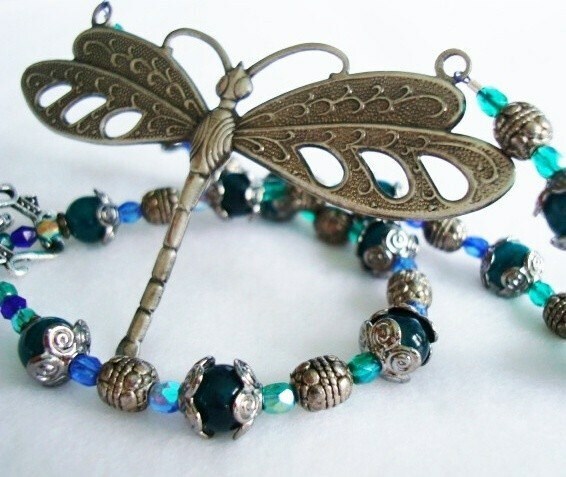 When you make a treasury, you must include Khan Creation's item, Dragonfly Necklace.